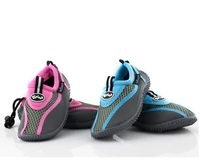 The L&S Junior Splash Aqua Shoe is a junior reef walker that starts in a size child 6 and goes up to a junior size 3 and come in 2 great colors, blue and pink. 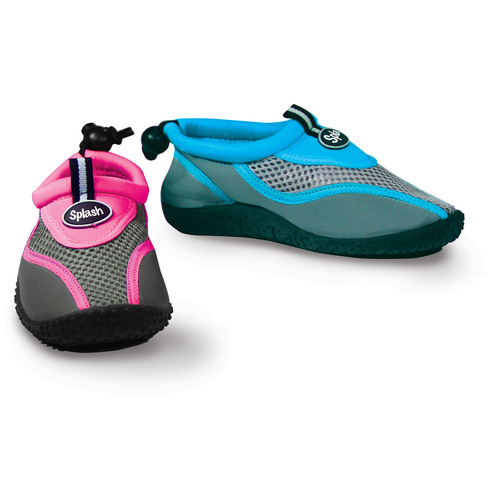 They are a super light weight comfortable water shoe with a sturdy traction rubber sole that comes up around the sides for extra protection when walking on rocks, coral or anywhere where there is water. Having a good rubber sole also provides grip when walking anywhere slippery. 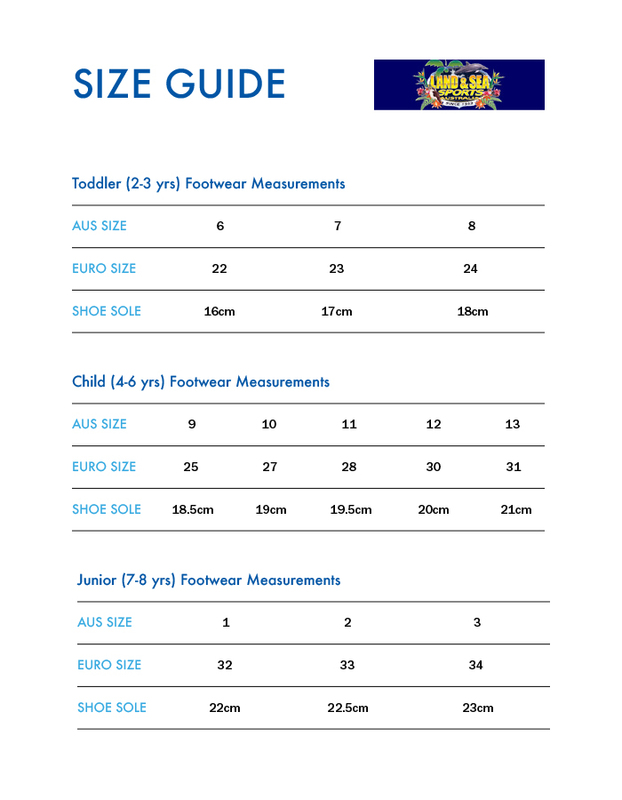 These can be worn at water parks, around the pool or the beach for comfort and prevention of sore feet. They have a easy to pull on tab on the top of the shoe to help you get it on easily and an adjustable toggle behind the ankle to get the best possible fit. The mesh on the top of the shoe allows for water drainage and air flow which helps with preventing smelly feet and it also allows them to dry quickly. Being made of neoprene, they dry quite quickly and are perfect for those family holidays. A Reef walker is an important piece of equipment when heading away to the beach as you never know what you could stand on when walking in or near water.